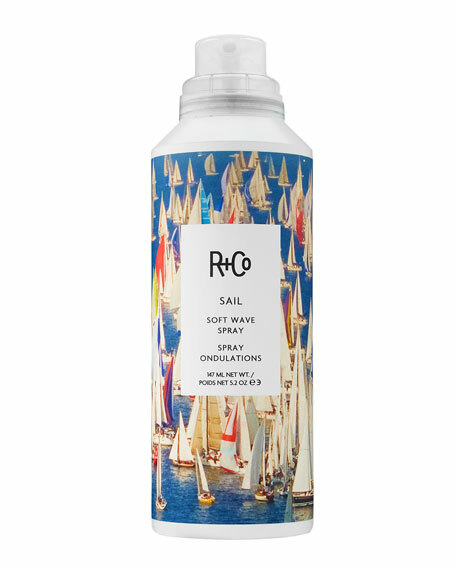 R+Co SAIL Soft Wave Spray, 5.2 oz. 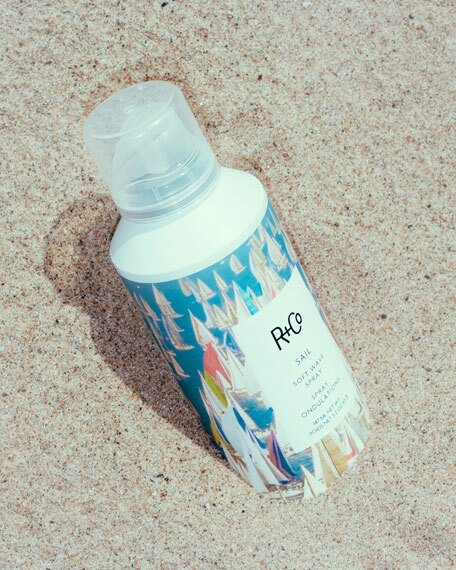 R+CoSAIL Soft Wave Spray, 5.2 oz. 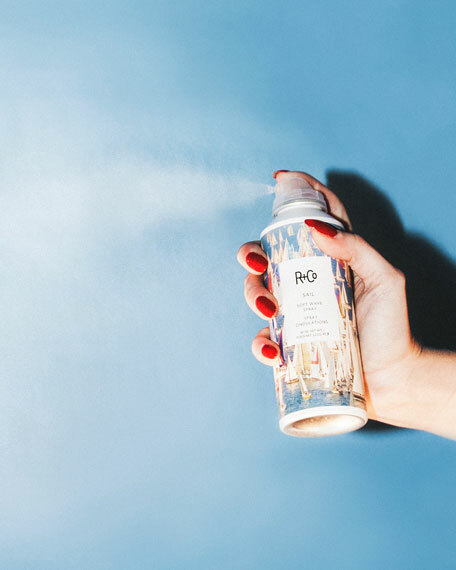 A lightweight spray that adds natural volume and texture to hair and creates effortless waves that appear soft, supple and shiny. Preserves the integrity and appearance of hair by protecting strands from thermal damage. Good for: Creating a long lasting, touchable natural tousled look while infusing hair with moisture and shine. 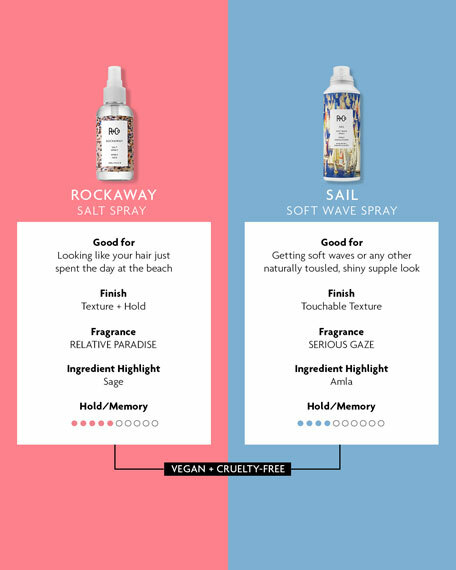 How to: Use on damp hair and focus on areas where additional texture and volume is desired. 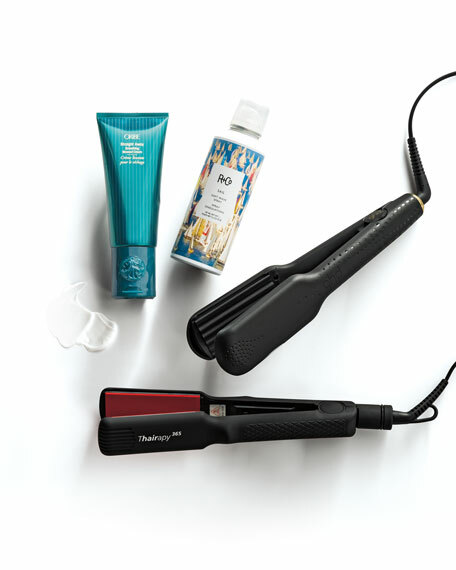 Hold bottle approximately 6 inches from damp hair and spray on to create soft waves and volume. Hair can be dried using a diffuser.